One more quick post before heading off to Miami. 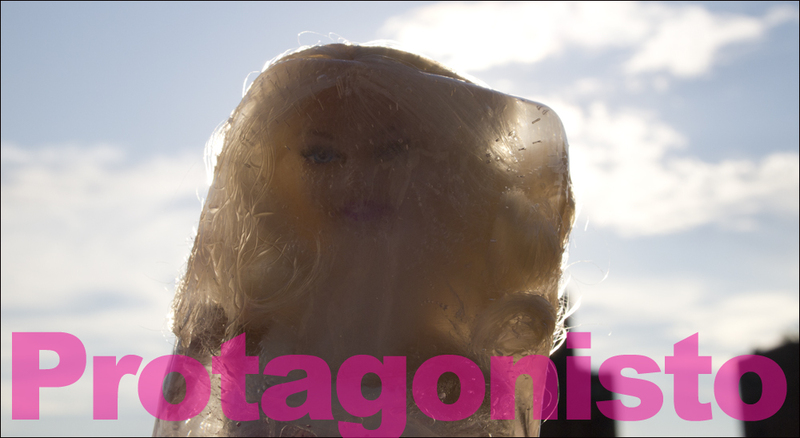 I present the four best pre-deconstruction images from the shoot with my latest sculpture. 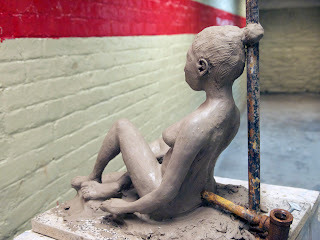 The sculpture was formed from the model Alma (who was also the female in my latest drawing series . . . she had dreads back then), a 23 year old model, who I found very hard to read. I never could tell how she was feeling, as if she herself didn't know how. What I liked about her was her curiosity and soft demeanor, and her body was pretty fantastic. Should I admit to you that this was the first female model I felt curious about sexually? 'Gawkward' coo the chorus of homosexuals. Thanks Alma for a great sitting. Best of luck in graduate school. is not a word in any language. It's one that this artist created by using the word 'protagonist' and adding the letter 'o', which is the closest language tool we have to the circle. For me the cyclical nature of life, of transformation and reinvention, is what I'm most interested in exploring. This blog is about art. Not just visual art but the art of life. It took me a long time to get to contentment (35 years!). Visual art and the old threads of my experiences in literature and theater--protagonistas everywhere!--have woven (or perhaps unwoven) me into the man I was intended to become. This blog documents my development as an artist and I hope inspires one to take action to fulfill his or her own intention. It's a blog about the process of becoming someone who desires only to wear art and literature meat. "There's no way of looking at a work of art by itself. It's not self evident. It needs a history, it needs a lot of talking about . . . it is a part of a whole man's life."